If you were building PCs back around the turn of this century, then you’ll know that everything was about one thing - performance. Components were getting bigger and running hotter in the quest for an edge, and the MHz wars were raging between AMD and Intel. Fast forward on to the present day however and a new watch word, efficiency, has come to the fore - just take a look at products like Intel’s Ivy Bridge processors and Nvidia’s 6-series GPUs for proof of this. The reasons behind this shift are numerous, and while not everyone will agree with the direction the industry is going in, it does open up some amazing opportunities for a home build. The most obvious of these is size - more efficient components require less cooling and less substantial voltage circuitry, meaning it’s now perfectly possible to build a tiny mini-ITX system that’s capable of eclipsing full size ATX PCs of only a few years ago. 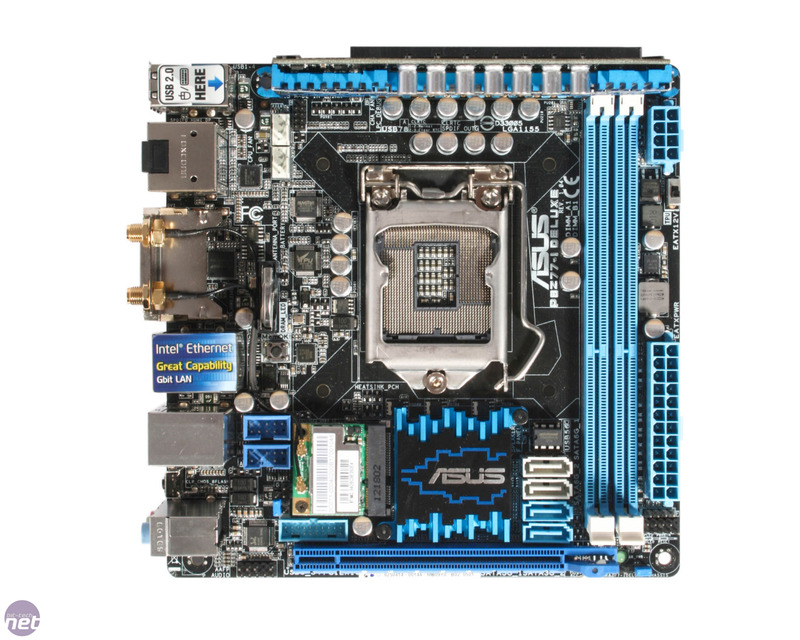 Given this fact, we thought it about time that we took a look at a pair of mini-ITX motherboards - the Asus a P8Z77-I Deluxe and the ASRock Z77E-ITX. 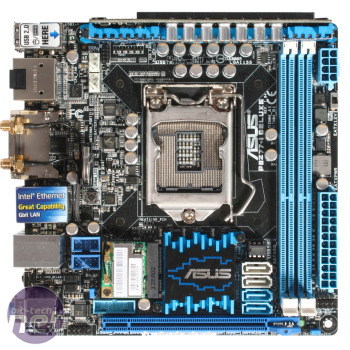 We’ll concentrate on the Asus board first, as the P8Z77-I Deluxe generated quite a buzz in the lead up to its release, thanks mainly in part to its unique VRM daughterboard. For those who’ve not seen it before, the daughterboard sits at the top of the main board and plays home to a 10-phase VRM system. 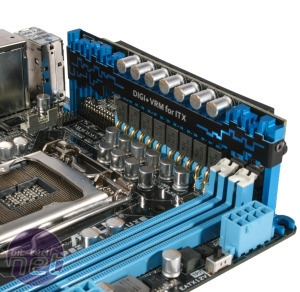 This is quite exciting, as it allows Asus to pack in enthusiast grade VRM circuitry and frees up a large amount of PCB space around the CPU socket, so larger coolers have more chance of fitting. 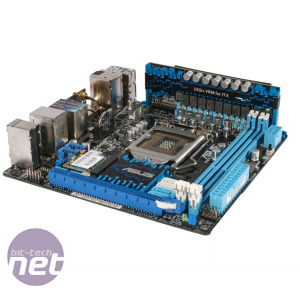 Innovative features like this don’t come cheap however, and the VRM daughterboard contributes to the £155 price tag of the Asus board - £20 more than the ASRock model we’ll look at on the next page. That said, we’re fans of the daughterboard as we feel it demonstrates a level of engineering problem solving that could have been thought had been lost from the motherboard market. Call us old hat, but we find solutions like this immensely more satisfying than the frivolous, acronym based software features that have become increasingly prevalent of late. 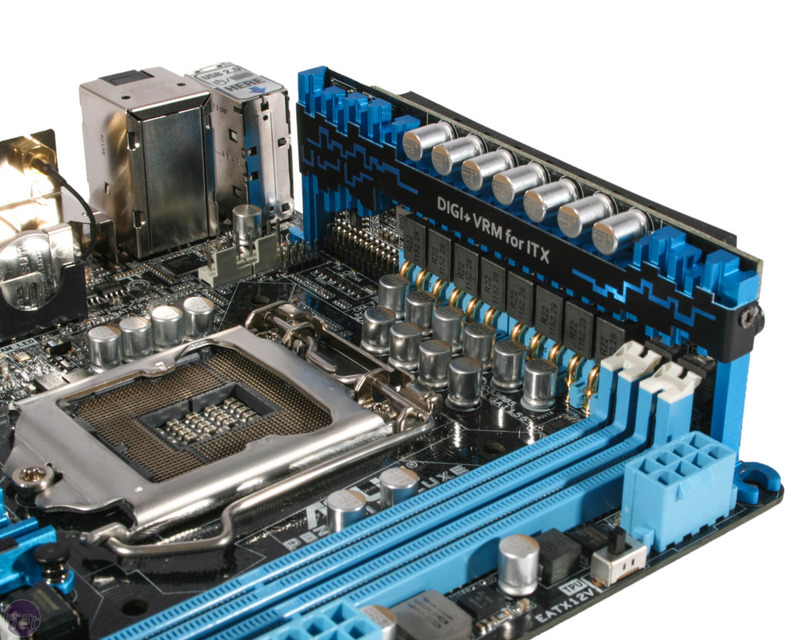 As you’d expect from a board aimed at enthusiasts, the Z77-I is well specified. It boasts a full spread of SATA ports (2 x 6Gbps, 2 x 3Gbps, 2 x eSATA) and video outputs (HDMI, DVI, DisplayPort) and also finds room to squeeze in eight USB 2 and six USB 3 ports and a back panel mounted CMOS clear button. As with most mini-ITX boards it also sports onboard Wi-Fi, with a dinky little onboard 108.11 b/g/n card linking up to a pair of aerials on the rear I/O. In addition to the impressive hardware spec, the Z77-I also has a number of software features that are worth taking seriously. The first of these is Asus’ increasingly familiar AI Suite II, which is as comprehensive a monitoring suite as we’ve seen. New to us though is WiFi GO! which, when used in conjunction with the onboard wireless capability, has the ability to turn a PC built around the Z77-I into wireless access point, meaning it can be used as a DLNA streaming hub. It’ll also allow you to control your PC from a smartphone or tablet connected to the same network, meaning that while the Z77-I may have many enthusiast grade features, it’ll also be perfectly at home in a HTPC build. 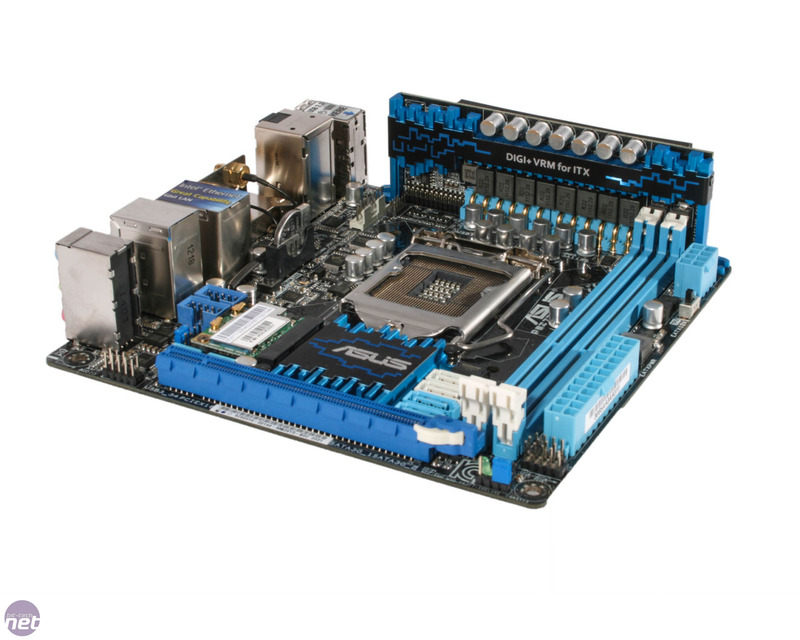 Like the idea of a Core i3-powered motherboard 60 per cent smaller than mini-ITX? So do we.